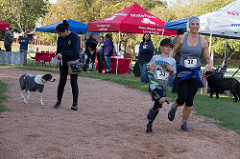 Dog Jog 2016 - Pflugerville Pets Alive! What could be better than an early fall morning? The crisp air, the sun rising, and dogs everywhere! Dog Jog is just around the corner, and the excitement is building. 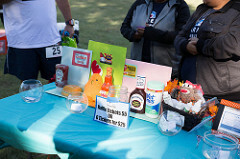 The 5K family fun run is one of PPA’s largest fundraising events. 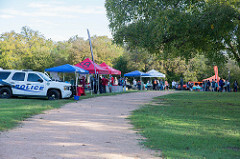 Held at Pfluger Park on November 12, this year is sure to be a day full of fun, dogs, and festivities. Even if you are not a runner, come out and walk or jog. In addition to the competitive 5K, there will be a 1 mile, leisurely dog jog and pet costume contests. Participants of all ages (and breeds) are welcome. Just make sure your dog is current on all vaccinations, plays well with people and other dogs, and has a 6’ or shorter non retractable leash. Don’t have a dog? That is ok. This is a no mutt necessary event. Registration is $25 for adults, $15 for children ages 7-15, and free for any child under the age of 7 with an adult. The race will start at 8 AM, and there will be lots of fun contests and events throughout the day. 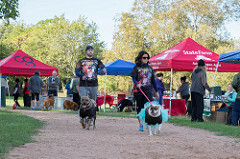 Register early to guarantee your Dog Jog t-shirt. You can register online at https://endurancecui.active.com/event-reg/select-race?e=36232152. Please display ID tags on your pet’s collar and keep him or her on a short leash and under control at all times. No flex leads permitted. Four feet leads/leashes will be provided for those who need one. We ask that participating pets be current on vaccinations (proof not required), at least 6 months of age and not be in heat/season. 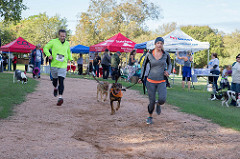 Please be kind to your four-legged companion and maintain a leisurely pace during the Dog Jog. Strollers/baby joggers are allowed in the Dog Jog. If you are strolling your child we ask that you bring a friend or family member to walk your dog. Water will be available for purchase from our food truck vendors and we will provide water for human and dog walkers and runners, but you are also welcome to bring your own water and containers from home. One dog per person in the dog jog. Multiple people may walk with one registered dog, but we ask that one person not walk more than one dog in the event. You can help save the lives of homeless animals by registering to participate, making a charitable donation, or signing up to volunteer. 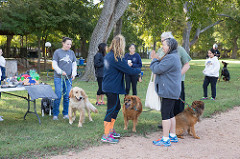 For more information visit http://pflugervillepetsalive.org/dogjog/ or contact organizers at dogjog@pflugervillepetsalive.org.